Two decades ago, oncologists realized that molecular biologists could see medically important differences between tumors that looked identical to pathologists. Molecular biologists could read information in the genome to improve the precision of diagnoses, guide treatment strategies, and improve health outcomes. Now, a research team from Columbia University has taken the first steps toward bringing such a genomic strategy into dermatology. Their findings, reported in the Nov. 24 issue of Scientific Reports, represents an initial step towards developing a molecular taxonomy for hair disorders. The taxonomy will be useful for diagnostic sequencing of patients with diseases affecting their hair follicles. 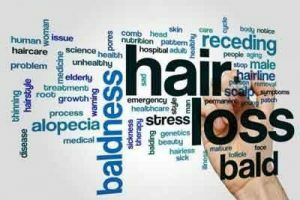 It will also improve the characterization of hair follicle biology and pave the way for new precision medicine treatments for hair diseases. The research team is comprised of Columbia researchers from the Department of Dermatology at the College of Physicians & Surgeons; the Data Science Institute; the Department of Biostatistics, Mailman School of Public Health; and the Department of Epidemiology at the Mailman School. After sifting through several databases the team found more than 600 genes, Petukhova said. Once the team saw all that data, they realized they had an opportunity to gain a deeper understanding of the biology that helps maintain a healthy hair follicle. The team then mined more databases to understand relationships among the genes, collecting data about how the genes function in cells and tissues.In the end, they identified nearly 5,000 biological terms shared by groups of hair genes, amassing a matrix of more than three million data points. Andreas Mueller, a lecturer at the Data Science Institute, guided the team’s analysis of the big data, helping them to understand the underlying causal structure of hair disorders. The researchers discovered that the 684 genes could be grouped into 35 clusters based on their molecular functions. And these genetically-derived biological modules provided a foundation for the development of the new hair-disease taxonomy. Disease classification symptoms have historically been based solely on disease symptoms. And oncologists have shown that incorporating molecular data into diagnostic algorithms helps to provide better care for cancer patients. Now, the same hope holds forth for the field of dermatology, Petukhova says.